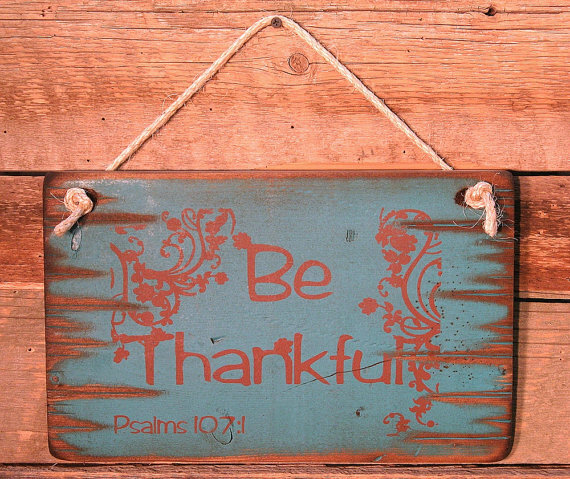 Be Thankful- Psalms 107:1. This reminds to be thankful each and every day. Handcrafted wooden sign with turquoise background. This signs measures 9x14 and comes with the grass rope hanger for easy hanging. Handcrafted with pride!